不好意思..之前所寫的 TFS 2012 Sharepoint 2013 Integration 會有些少變動..
SQL Server 2012, TFS 2012 and SharePoint 2013 整合..
我現在可以嘗試使用 Windows Server 2012 來設定 我的開發環境 TFS 2012 SharePoint 2013.. This entry was posted in Tech News on 2013/05/10 by ShareChiWai. This entry was posted in Microsoft, Tech News, Window Phone Development on 2011/03/25 by ShareChiWai. This entry was posted in Tech News on 2011/03/22 by ShareChiWai. 這天有 FireFox, Google Chrome, Opera 的代表來講解他的的Browsers的強項.. Please correct me if my concept is wrong. This entry was posted in Microsoft, Tech News on 2011/03/22 by ShareChiWai. 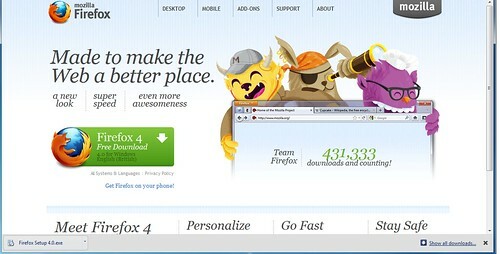 FireFox 4 Release Date and FireFox 7 Release at the end of 2011? 他們解釋他們只是改變了Release Model 的 Version number.. This entry was posted in Microsoft, Tech News on 2011/03/20 by ShareChiWai.